Lucifer's name is mentioned only once in scripture, yet, he remains a powerful evil influence over the world. This has been the case from the time of Adam and Eve to today and will remain so until final judgment is executed upon the Earth. What is Lucifer's ultimate goal? How can we fight such a daunting adversary when angels themselves, with their supernatural strength, dare not contend with him? Furthermore, since the Bible tells us that Lucifer is the god of this world, what kind of merchandise does he use in tempting us to sin? The scripture is clear in its description of who he is and what he intends. Being the fallible beings that we are, how can we resist the evil temptations that can draw us away from the True God of heaven who is the Creator of all things? It is God. 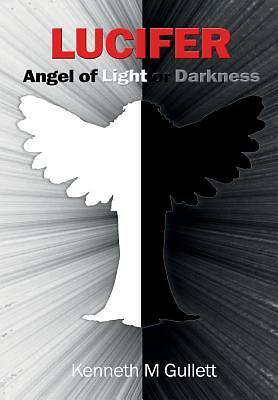 Who separated the light from the darkness, according to Genesis chapter one, and it is He who separates good and evil through His living Word, Jesus Christ; therefore, it's in Him alone that we have hope and salvation, not in Lucifer, nor in ourselves. This work is intended to reveal who Lucifer, our great adversary, really is, his attributes, merchandise, and his goals. But, foremost, through this work, the true King of Kings and Lord of Lords will also be revealed.